Watch extended interviews with the architect and neighbors. Florafelt Vertical Garden Planters were mounted to horizontal lumber supports bolted to the brick facade. 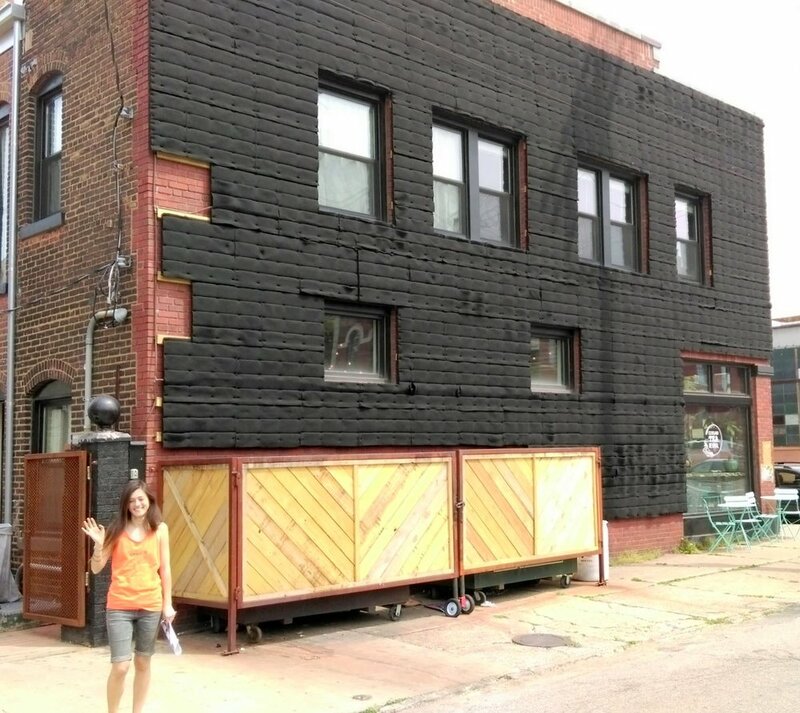 Architect Marika Shioiri-Clark and a group of dedicated community volunteers bring the head-turning beauty of living walls to Cleveland's up-and-coming Hingetown district. A wide variety of sedums and hearty grasses will grow into a seamless cliffside of cascading foliage. Reclaimed water from rooftop rain runoff will irrigate the vertical garden for an exciting, eye-catching and ecological icon in an area flourishing from urban renewal. Architect Marika Shioiri-Clark. Hingetown Cleveland Living Wall. Florafelt Vertical Garden System.